What we say and how we say it can make a profound difference. The 47th annual Martin Luther King Jr. Remembrance and Rededication Ceremony hosted by Manchester University brings Dr. Brenda J. Allen, author of Difference Matters: Communicating Social Identity, to the North Manchester campus. She will speak at 7:30 p.m. Wednesday, Feb. 4, in Cordier Auditorium. The event is free and open to the public. 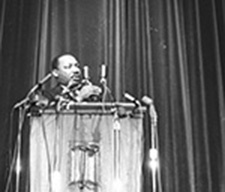 The Feb. 4 observance honors King’s last speech at a college campus. He presented “The Future of Integration” at Manchester on Feb. 1, 1968, two months before he was assassinated in Memphis, Tenn.
Allen’s interactive talk, “Difference Matters: Cultivate Curiosity,” will explore ideas and insights from her groundbreaking book as well as offer strategies for how to communicate humanely to achieve King’s dream. She is a professor of communication and Chief Diversity Officer at the University of Colorado Denver and Anschutz Medical Campus. Allen will encourage those who attend to notice and question how they categorize and characterize themselves and others. She’ll invite them to notice when they are relying on stereotypes and prejudices about social identity groups. She will address ways they may be “thinking under the influence” of dominant belief systems or stereotypes, and how they can cultivate curiosity about how they construct and perform social identities. 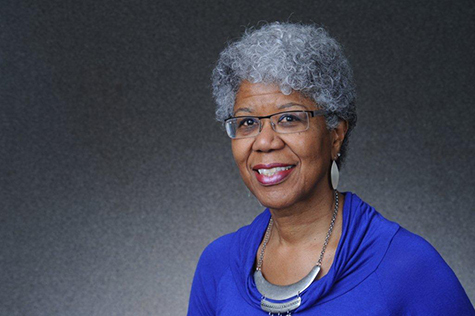 Allen conducts her university research and teaching on the concepts of organizational communication, diversity, group communication and critical pedagogy. She is frequently a keynote speaker on the subjects of self-empowerment, diversity, leadership, inclusion, strategic planning, presentational speaking, mentoring and teamwork. Manchester Professor Mary Lahman uses Allen’s book as a primary text in an intercultural communication class. “Students are attracted to the way Dr. Allen writes because she uses her own life experience to illustrate important course concepts,” Lahman said. She met Allen at last year’s National Communication Associations’ Institute for Faculty Development, where Allen was a workshop leader. “I anticipate she will engage students,” Lahman said, adding that Allen is excited to work with Manchester faculty, staff and students. Michael Dixon, director of MU Intercultural Services, hopes Allen will bring a fresh perspective about Martin Luther King Jr. This year’s event is sponsored by the Communication Studies Department, the Office of Multicultural Affairs, and the Values, Ideas, and the Arts Committee. It is underwritten by the Mary E. and Opal Stech Fund. Learn more about Allen and her book at http://www.differencematters.info/. Allen will also work with Manchester faculty Feb. 5, discussing communicating difference in the classroom. Prepared with assistance by Heather Elson, MU media relations student assistant.